There are few brands that have a simple name that subtly reveals what the company is best known for. No, Ultimate Ears is not known for the best cybernetic ear replacements, but for something that comes close enough. 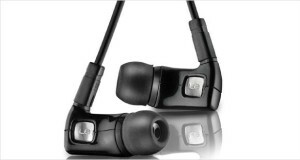 The company makes one of the best custom In-Ear Monitor earphones for people who want the best portable earphones that fit their ears perfectly and deliver excellent sound. 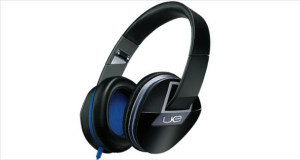 Ultimate Ears is known for the number of touring artists that support the brand. With names like Mumford & Sons, Florence + The Machine, Passion Pit and more, these are premier earphones that musicians on stage put on to listen to all the songs on the stage and none of the noise from the crowd or the environs. 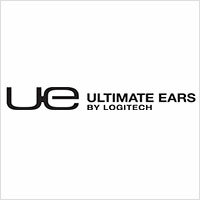 Ultimate Ears does not have a very long product line up, with a portable speaker set (the UE Boom) being one of the few non IEM products in its stables. Yet, after being acquired by Philips, a strong boom has come to the company with Philips looking to increase its luxury line up with offerings from Ultimate Ears. Jerry Harvey and Mindy Harvey were the creators of Ultimate Ears in 1995. Back then Jerry was the legendary hard rock band Van Halen’s touring monitor engineer. The drummer, Alex Van Halen, had always had trouble listening to the band’s performance – he found the monitor speakers in front of him inadequate over the noisy crowd’s shouting and screaming. He wanted a more permanent solution, which Jerry engineered for him in the form of form fitting in ear monitors. The prototype that Alex used was made of two drivers – one for low frequencies and one for high, that Jerry put together on his own. The drummer was extremely happy with these earphones and this soon led to the other members of Van Halen becoming interested in a piece, and soon Jerry had his hands full creating additional earpieces. Other touring musicians, Skid Row being one, also became interested in this invention and wanted some for their own band. Jerry sold about $3000 worth of earpieces, and soon found more demand for his work. He decided then to quit his work as touring engineer and start his own business to bridge the supply/demand gap. Funnily enough, Jerry and Mindy got a divorce just before they became business partners – spreading the news about the company and eventually gathering enough publicity to push more demand. Eventually the company started supplying audiophile consumers and the rest, as they say, is history. The Ultimate Ears Vocal Reference Monitors are made for studio vocalists or audiophiles who love vocal music. The midrange frequency response is astonishingly clear and the custom earphone fit ensures that all outside noise is blocked out. 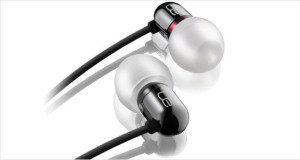 Additionally, the lows and highs are attenuated inside the earphones itself so that you can only listen to the vocal sound in its effervescent quality and clarity. As earphones, these are one of the best made for acoustic or vocal songs, and have the adoration of classical music listeners across the world.